to the Dhamma I go for refuge. I vow to realize them. and to practice joy and equanimity. and to help relive the grief of one person in the afternoon. and to keep my body healthy. I am aware that I owe so much to my parents, teachers, friends and all beings. be free from their suffering. 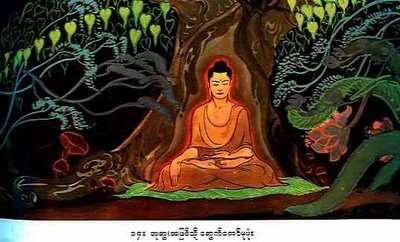 May the Buddha, the Dhamma, and the Sangha support my efforts. Would that modern western man had such vision - and practised it.